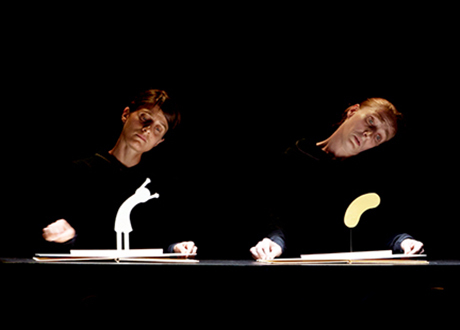 Three years after their Spanish premiere in Benicàssim and in Teatralia's Festival in Madrid in 2016, the Company returns in Spain to tour PICCOLI SENTIMENTI. The show is a unique piece for the early ages audiences (+3 years old), dreamed by Antonio Catalano y Alain Moreau under an initiative of Flavia Armenzoni of Teatro delle Briciole, which build its poetry from a suggestive sound landscape and the beauty objects and a very refined manipulation appearing to come from other realms. 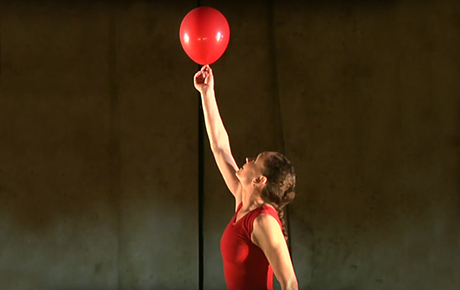 PICCOLI SENTIMENTI was premiered at the prestigious festival FESTIVAL MONDIAL DES MARIONNETTES in CHARLEVILLE-MEZIERES back in 2011 and has been widely touring worlwide since then. In April they will be present on the 30th Anniversary of the festival La Mostra de Teatre Infantil i Juvenil in Igualada, and again in Benicàssim. In May, they will be back to Valencia's Region with performances in Valencia and Alicante, and for the very first time they will play in Castilla y León Region, holding 3 exclusive performances at TITIRIMUNDI, the prestigious International Puppet Festival of Segovia. We are back from FETEN with our luggage full of good experiences, inspiring performing arts proposals and a good bag of joy and emotions! The Hispano-Argentinean Lamatracataca, that performed at FETEN too, with their multidisciplinary piece FAR AWAY. As well as with the Valencian Company Panicmap, which presented PETIT BIG BLUE and which we distribute internationally. We are very grateful to the Jury of the Fair, to all the organizers and the public that made FETEN 2019 possible. FETEN (The European Performing Arts Fair for Children) is almost here and there we'll be, this edition we'll be presenting three shows. The week will begin with FAR AWAY (by Eilertsen & Granados / Lamatracataca), which will be followed by Compagnia TPO with LA CASA DEL PANDA, to end with the new show of El Patio Teatro, HUBO. Three different shows that are framed within a visual language that appeals not so much to reason, but rather to emotions; creations that share the desire to move the audience. The new show by ARACALADANZA is coming. According to the Company, a fresh new paragraph in the history of the company, after a background of 23 years working with stage productions devoted to family and children's audiences. A next step in their artistic research, this time based on creative freedom and the desire to play. Since the end of last Spring, Enrique Cabrera, together with five dancers and the rest of the team, has been diving in this concept to offer the audience a new creation with the same good quality as they have always delivered on stage in years of international touring. On this occasion, adding the challenge of a new approach. A new starting point with the experience of the past. 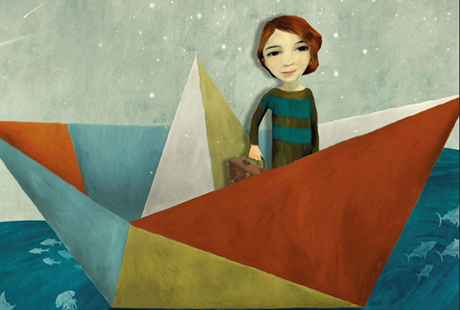 "All grown-ups were once children… but only few of them remember it"
TEATRO DELLE BRICIOLE opens 2019 in VALENCIA! The Italian company is back to Spain in January to present its wonderful show "POP UP, a cartoon fossil" at the prestigious program of TEATRE ESCALANTE, the only performing arts centre in Valencia dedicated to create, produce and show theatre, circus and dance for young audiences. 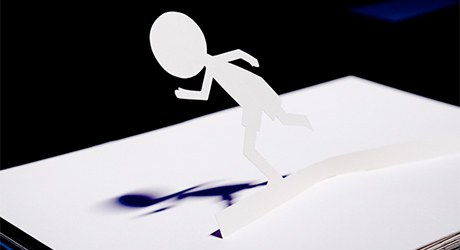 POP UP is a very unique show targeted for audiences from 3 to 6 years old, that narrates the story of a child of paper and a sphere, throughout very original and beautiful scenes popping up from books that are manipulated by two actresses. The performances will be staged at SALA RUSSAFA, a contemporary venue in one of the most trendiest neighborhoods of the city, and are part of Escalante's special program called ESCENA DIVERSA showing a wide diversity of approaches to theatre and arts by Spanish and International companies. The dates in Valencia will be followed by upcoming tours throughout all Spain in March and May 2019. Keep an eye not to miss this gorgeous show! AMAZING OPENING TOUR of LOO in CHINA! 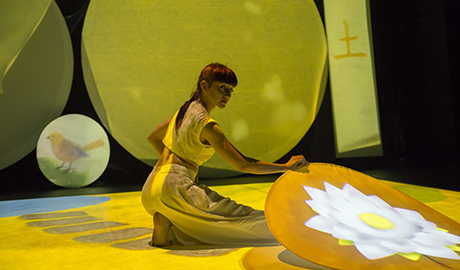 The show about the Asian wind known as LOO, which the company Ponten Pie takes as an excuse to create the beautiful performance of the same name, visits China for the first time. They will be at the Cultural Center of Macao in the month of December and at the Cultural Center of Hong Kong in the first days of January. Cultural Center of Hong Kong (China). 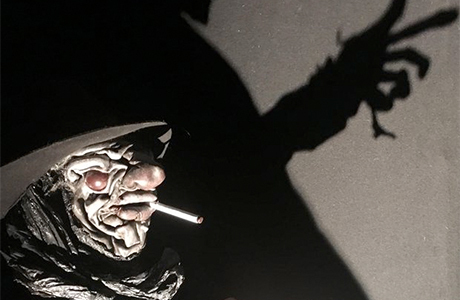 Javier Aranda keeps conquering hearts with his amazing acting job and manipulation of objects. This November he breaks new ground in France, debuting in MARIONNETTISSIMO, no less. 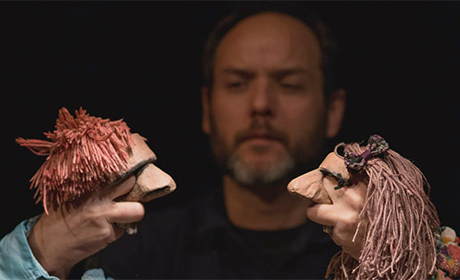 In both Vida and Parias the relationship between puppet and puppeteer reaches an extraordinary degree of intimacy. 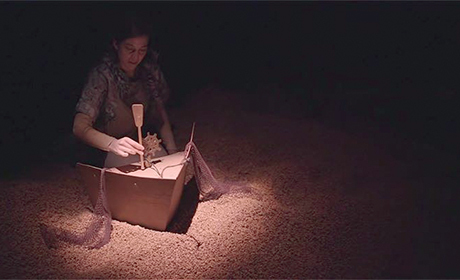 Far Away, a beautiful visual story, produced at the Nordic borders of the world, will be seen at the International Puppet Festival of Vall d'Albaida in November and one month later, at the International Puppet Festival of Alicante (Festititeres). This non verbal show captivates audiences through the senses. 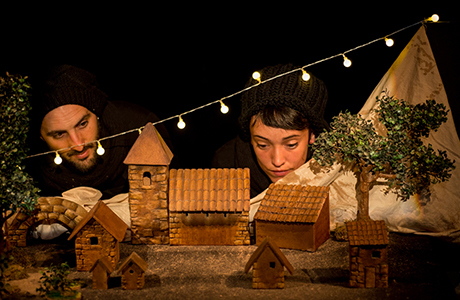 The Italian company TPO presents Panda's Home at 43rd International Theatre Festival of Vitoria. 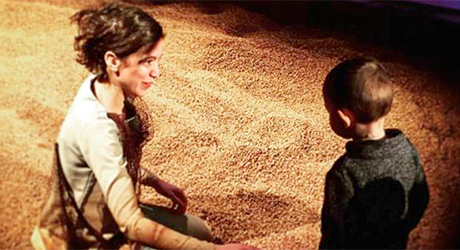 The show, which is full of visual poetry and offers interaction on stage to the youngest, was seen in Spain in the latest edition of GREC Festival in Barcelona. A few weeks later they will fly to Ecuador to be part of the International Arts Festival in Loja. 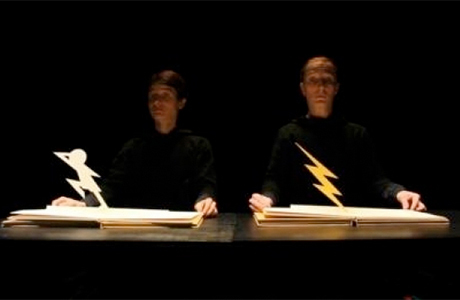 IKEBANAH presents in Spain the work of the physical theatre company Bertrand Lesca & Nasi Voutsas winner of the Edinburgh Theater Festival Award 2017. They will premiere their celebrated shows Palmyra and Eurohouse at Madrid's Autumn Festival this November. Palmyra will be also programmed at Corral de Comedias in Alcalá de Henares. "A wonderfully playful, intimate and, ultimately, moving spectacle that constantly confronts idealism against self-interest and pragmatism". 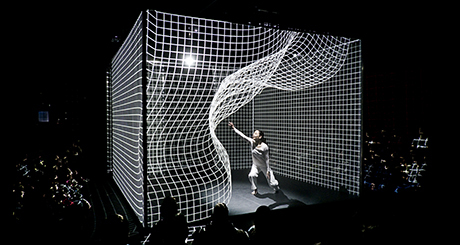 The geometry and the dance of the scenic and visual poem Hakanaï, by the company AM&CB will be presented at the Cultural Center of Betlem in Lisbon and the IFE, Madrid, in the last month of the year. Two great opportunities to enjoy the hypnotic beauty of this performance. Hubo, the new proposal of the company El Patio Teatro, will be closing the first edition of the Festival Toparte de Agurain (Álava). The show, imbued with great sensitivity and visual poetry, is a tribute to the rural lifestyle and their inhabitants. 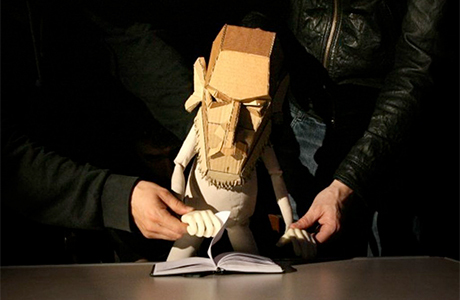 Hubo continues the artistic guideline started with A mano, the company's first show. A mano will go on tour to Bucharest, Madrid and Oslo. DEBUT of PETIT BIG BLUE in CHINA! The visual and dance show, Petit Big Blue will be for three weeks at Beijing Tianqiao Performing Arts Center. A beautiful abstraction by Panicmap Company that starts their Asian journey. Two companies will be represented by IKEBANAH in this year's edition of Ziguzajg Festival in Valleta, which is celebrating the European capital of culture 2018. 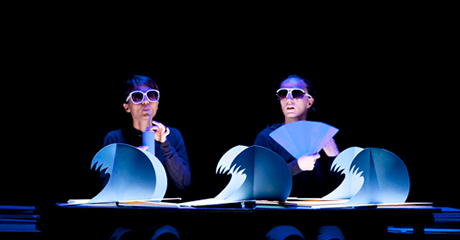 Teatro delle Briciole with POP UP, animated fossil of a cartoon, an imaginative performance on pop up books. 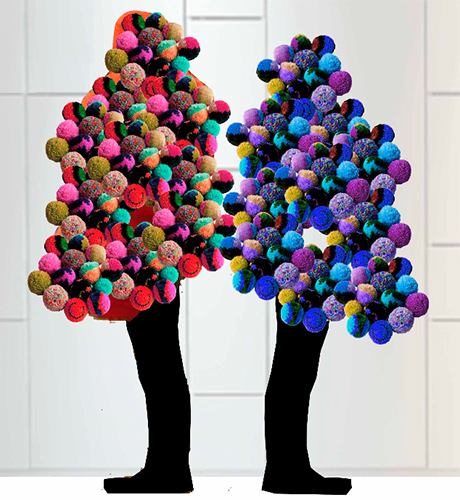 And PONTEN PIE with LOO, a beautiful show full of images of visual poetry, aimed at children audience. 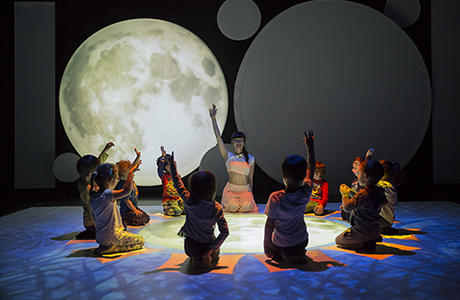 Family audience show LIKE CAT & DOG by TEATRE ANIMAL returns to China after a three weeks tour in May this year. This will be his seventh visit to the country where, after three seasons of double tours in a row, has earned public and programmers sympathy. They will be touring in Hangzhou, Suzhou and Kunming in October. 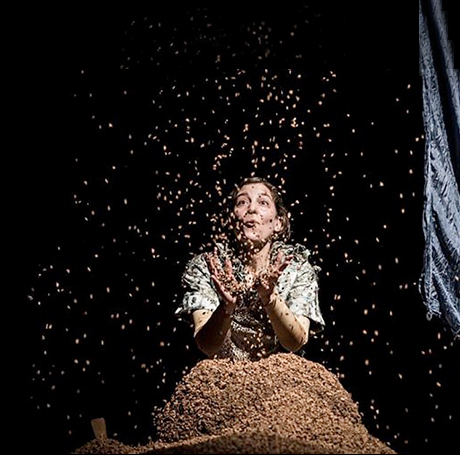 PONTEN PIE's sensorial and visual poetry will be shown in October in the two best Festivals of Theatre for children in Holland: DE KRAKELING in Amsterdam and DE BETOVERING in The Hague. 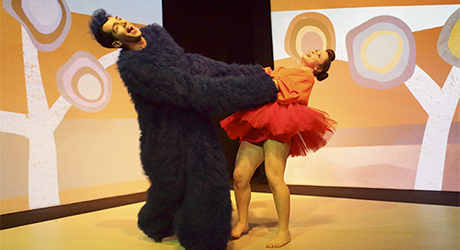 Loo is a show that awakens the senses and invites us to see the world in a different way, from the emotional and sensorial side. 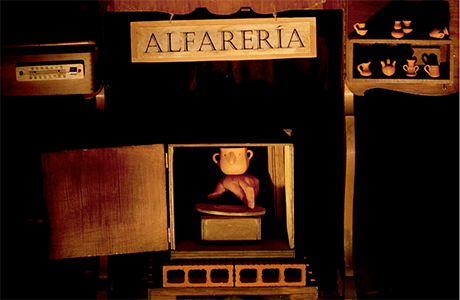 JAVIER ARANDA keeps on touring with VIDA, an exceptional and multi-awarded puppet and object show for all audiences, that never leaves anybody unmoved. In October he will approach two festivals on the Mediterranean coast, with premieres in Castellón de la Plana and the Majorcan town of Vilafranca de Bonany. The imagination and visual display of POP UP (TEATRO DELLE BRICIOLE) will be part of the second edition of Quiquiriquí Festival, a festival that promises a long career, at Centro Federico García Lorca, Granada. With HUBO, the new show of El Patio Teatro, already taking its first steps, A MANO continues to walk and offering opportunities to be enjoyed in different parts of the world. They will be at the Kinder Kinder Festival in Hamburg at the end of September. 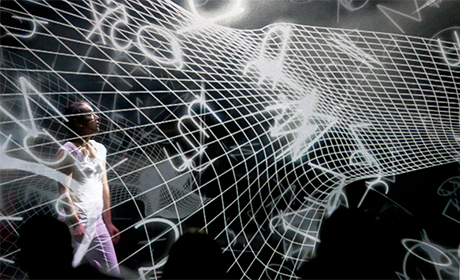 A new opportunity to see VIDA by Javier Aranda in Barcelona. This time at Fiestas de la Mercè (Escenari Til.lers, Ciutadella). 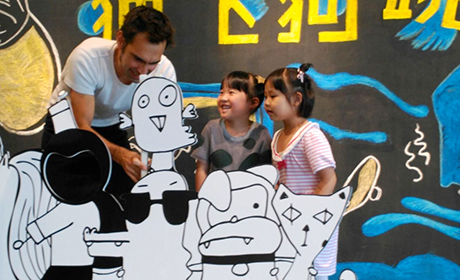 A puppet show for all audiences that brings back the love for life. Do not miss it. We are glad to announce that, after his successful visit to Ribadavia's MIT, Blind Summit is back in Spain. THE TABLE, with which they closed MIT this year, starring a funny and hooligan Moses with a cardboard head and THE PUPPETEER, an irreverent and humorous approach to the subject of death. 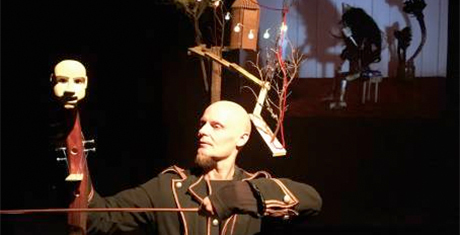 FAR AWAY puppet visual show (Eilertsen & Granados / Lamatracataca) will be at the FESTIVAL TEATRU, STRADĂ ŞI COPIL sharing the Nordic atmosphere with the public of Bucharest. An emotional story told through images and objects created in the Polar Circle, visual poetry for all audiences. After POP UP (Teatro delle Briciole) and SALÜQ (Maquinant Teatre) we will be closing our participation at Cultura Nova Festival with the contemporary dance show for children and all audience VUELOS (Aracaladanza). An allegation to utopia and the freedom to dream. Inspired by the figure of Leonardo Da Vinci and his visionary way of seeing the world, VUELOS approaches all audiences with the desire to push their imagination and the ability to believe in dreams. Teatro delle Briciole brings its amazing performance POP UP to the Nordic lands, at the International Festival of Performing Arts for a Young Audience in Kristiansand. One of the main festivals for young people and children in the country and a great opportunity to bring a simple and original visual language that combines objects and "pop-up" animation to the Nordic audience. A visual surprise that will delight everyone. The handmade beauty of the animated books and the sound universe of POP UP is premiered in the Netherlands at the Festival Cultura Nova in Heerlen. A high level visual and performing arts international program, a perfect context for this poetic and experimental work by Teatro delle Briciole. Nür, the little main character of Salüq, will tell the story of her trip for first time in English at the Cultura Nova Festival in Heerlen. Salüq is a show that combines visual poetry, dance, visual arts and new technologies to show the younger audience the reality of so many children in the world, who must face an experience of vital uprooting as strong as it is to emigrate. 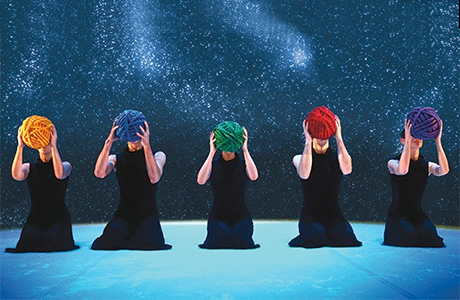 The beautiful reinterpretation of the work of the painter Joan Miró, staged by Enrique Cabrera and the five dancers of Aracaladanza, returns for the second time to Canterbury. This year will be at the bOing! Festival, where the explosion of colour, movement and imagination of the works of this Madrid Company has consolidated over the years a loyal and enthusiastic audience. 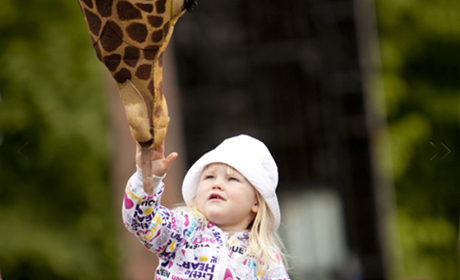 After the Children's Art Theatre of Shanghai , China (SHCAT), the GIRAFFES, by the Theatre Company Xirriquiteula, will arrive to Okinawa (Japan). At the end of July they will be walking around the cities of Naha and Ginoza. 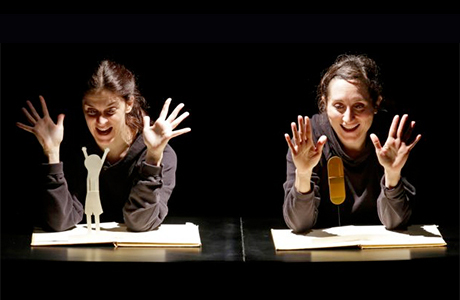 After two years without visiting Spain for agenda issues, THE TABLE, by the prestigious British company Blind Summit Theatre, closes the Mostra Internacional de Teatro de Ribadavia. A new opportunity to meet again Blind Summit and enjoy a show which has been touring all over the world and winner of many awards, among others, the Drac D'Or Julieta Agustí for the best Show and the best Dramaturgy (Fira de Titelles de Lleida, España). A few days ago the program of GREC 2018 (Barcelona, Spain) was released, including the new of TPO Company's premier in Spain of PANDA'S HOUSE, a show awarded with the "GOING to the WORLD!" (SPAF-Shanghai Performance Arts Festival 2017). It will be presented on 20th and 21st of July (6.00pm) at Mercat de Les Flors (PB Space). HAKANAÏ, multidisciplinar show by the French Company Adrien M & Claire B, that combines choreography and digital art, is presented in the context of one of the greatest musical events of the year, MadCool Festival. A moment of visual poetry between concerts of legendary bands, as Pearl Jam, Depeche Mode or Massive Attack.